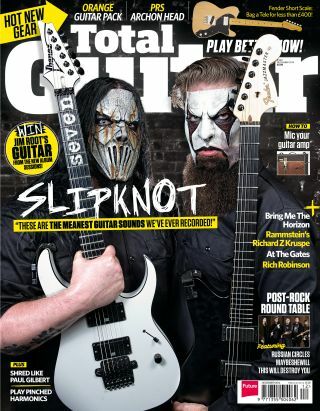 In TG 260, we catch up with Slipknot's Jim Root and Mick Thomson to find out about the writing and recording of '.5: The Gray Chapter'. As well as this, we show you how to play the riff from 'The Negative One', plus thanks to FRET12, you'll find exclusive video and tab lessons with Jim Root. Finally, in association with FRET12, we're giving away one of Jim's own signature Fender Telecasters - used to record parts on the new album! The shred master's technique explained! Stones tones scaled-down on a budget!